Who Can Get a Library Card in Toronto? The Toronto Public Library (TPL) is a fantastic resource for people in Toronto. It has a wide collection of books, magazines, DVDs, audiobooks, e-books, music and other media available to library card holders, along with special programs such as free museum passes, author talks, educational programs, book clubs, writers' groups and much more. There really is a lot more to the TPL than books and it's well worth taking the time to get or renew your library card. The only thing you need to take advantage of the library's resources and services is a Toronto Public Library card - and those cards are available to more than just city residents. Adults, teens, and children who live within the City of Toronto can get a free Toronto Public Library card simply by providing an accepted form of identification that proves your name and address. An Ontario Driver's License, Ontario Health Card (with address on the back), or an Ontario Photo ID Card are the easiest options, but if you don't have those available, you can also combine documents to prove your name and address, such as bringing in your passport or birth certificate to prove your identity and a current bill or lease to prove your address. Teens can use the same ID as adults, but they also have other options, such as using a TTC Student card, current letter from a teacher on official school stationery, or a report card as proof of name. Report cards can also be used to prove your address if your current home address is printed on it. Toronto Public Library cards for children 12 and under must be signed by a parent or guardian, and can be acquired using the kids' own ID or through the signing adult's. Visit the "Using the Library" section of the Toronto Public Library website to learn more about acceptable identification, or call or visit your local branch to inquire. TIP: It's also important to remember that your library card expires once a year, and you'll need to visit a branch in person to renew your card, taking ID and proof of name and address with you. Even if you don't live within the City of Toronto, you can still get a free Toronto Public Library card if you attend school, work or own property in the city. You'll still need to show the same kinds of name and address-verifying ID mentioned above, then you'll need to also provide documented proof of your local property ownership (such as a deed), employment (such as a pay stub or employee ID with workplace address), or educational institution (such as a post-secondary student card or a letter from a teacher on secondary school letterhead verifying current enrollment). The TPL offers such a great collection and so many exciting programs, that getting a Toronto Public Library card may appeal to those in the Greater Toronto Area or even those visiting Toronto temporarily, whether for work or as tourists. The Toronto Public Library does allow non-residents to get a card that is good for three or 12 months by paying a fee. 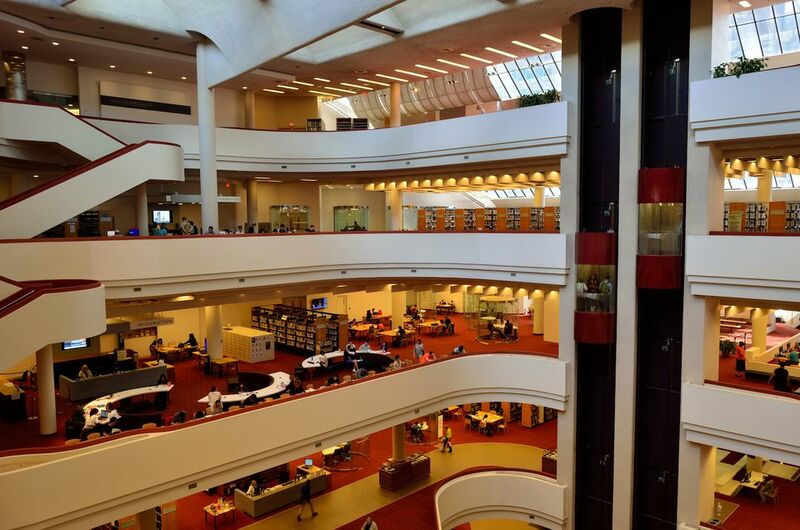 As of February, 2019, the non-resident fee for a Toronto Public Library card was $30 for three months or $120 for 12 months, but this amount is subject to change. You'll still need to provide ID verifying your name and address - contact the library if you'd like to apply. Use the TPL's eLearning resources and online homework help. Reserve computer time at any branch if you don't have a computer of your own or just want to do some work in a quiet setting. Borrow a Museum & Arts Pass for free access to Toronto museums and other attractions. Access cutting-edge technology like 3D printers and training at the Digital Innovation Hubs, of which there are eight locations.